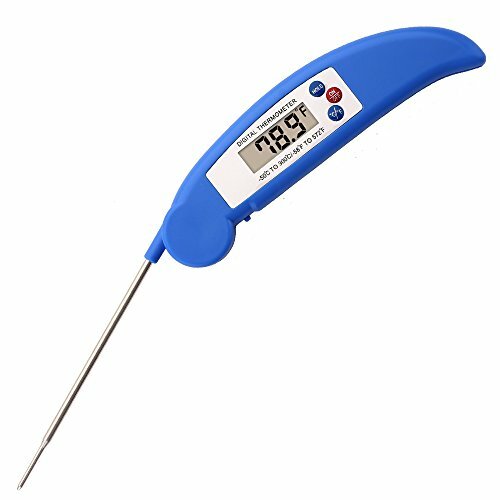 This digital meat thermometer is made of ABS material and 304 stainless steel probe. 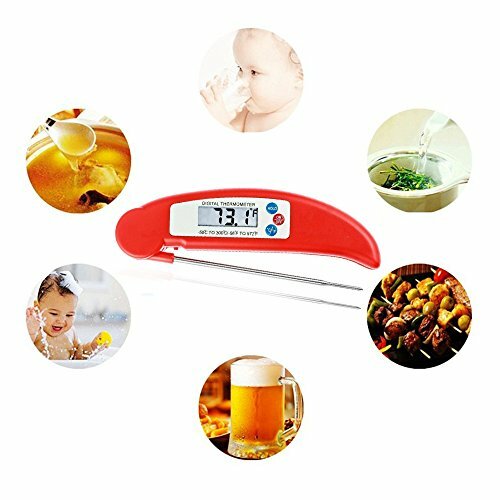 Buy kitchen thermometer now and get a lifetime warranty if you are not satisfied with the product. This digital meat thermometer is so easy to use. 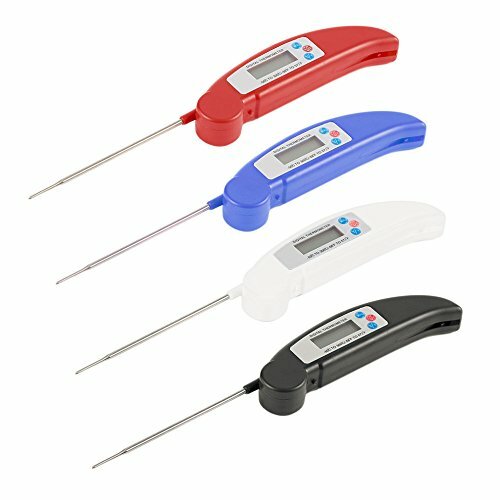 The digital meat thermometer with probe and innovative splash proof design, making it perfect for indoor or outdoor use. The stainless pointed probe is engineered to be foldable and can be fixed safely when not in use. As we know that cooking thermometer must have technology to ensure cooking perfection every single time. This digital instant read thermometer ensures your fresh food thermometer is ultimately accurately, super-fast and 100% reliable. So fast instant read in seconds. Also features an auto-shut off battery life. 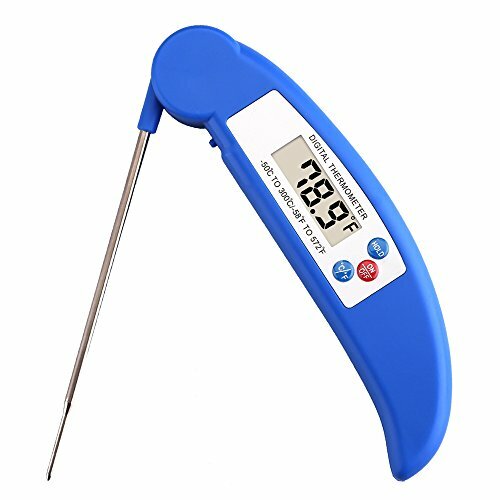 This digital meat thermometer has amazing digital temperature range. 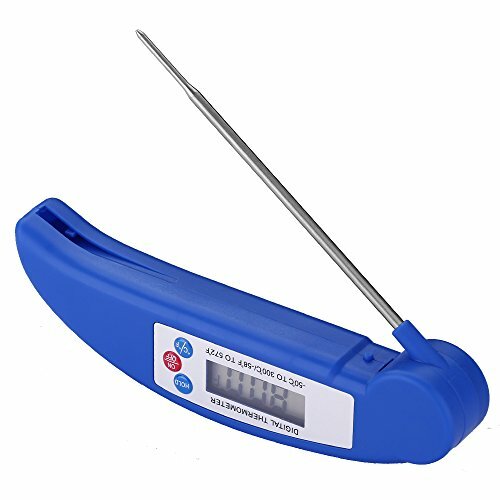 This digital meat thermometer provides you with thermometric digital readings in both Fahrenheit and Celsius reading options with a range from (-58¡ãF to 572?F or -50?C to 300¡ãC) for your cooking convenience and for extra versatility. The bbq thermometer’s body made of strong ABS plastic, if you drop, it will not deteriorate. The Long collapsible probe of stainless steel will not break if it is bent and easily folds into the case if necessary. Also, the tip of the probe has an antibacterial coating to prevent bacteria. All materials of the grill thermometer are completely safe. – “HOLD”: Press the “HOLD” button to hold the degree. – Extra Long Probe: Easy to use and keep your hands away from the heat when cooking at the grill or in the oven. – Auto On/ Off: Turn off automatically after 10 minutes without any operation. -Do not leave thermometer in oven while cooking. Do not touch hot probe with bare hands. -Wash the metal probe in soap water. Clean thermometer by hand. Do not completely immerse in water. 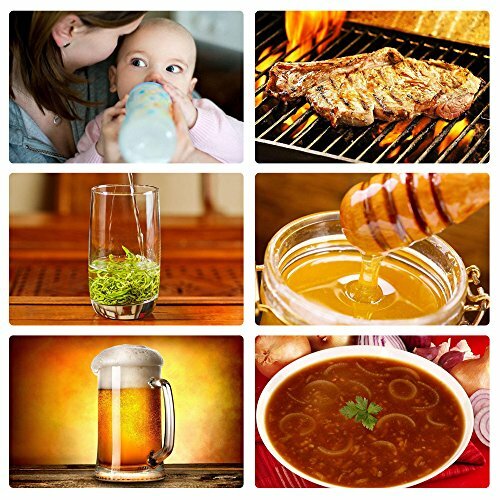 -The metal probe can be sterilized by soaking in boiling water for several minutes.